Cyprus and Georgia will be our destinations in 2014! 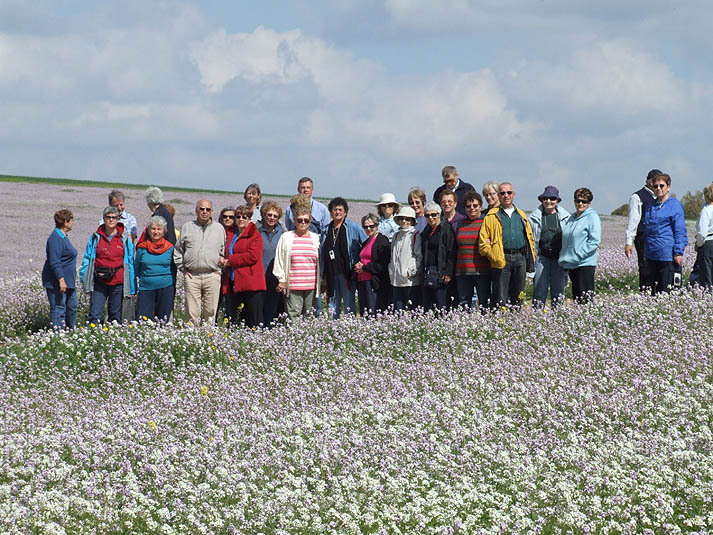 Hagar Leschner will lead will lead us in Cyprus (April 16-20) this flower-filled journey will take you through different habitats, from the Troodos mountains and the Valley of Cedars to the stunning Akamas peninsula. Dr Ori Fragman-Sapir will take the helm in Georgia (July 14-22). Switching to daylight savings time – note changes in hours! 8 Tue 16:00 Walking Tour Has spring come to Europe? All tours depart from the Visitor’s Center unless otherwise specified | The Coffee Club takes place in the Visitor’s Center Auditorium | Botanical tours are guided by the Gardens’ science staff | Walking tours, lasting around 90 minutes, are organized by the Israeli Friends of the Botanical Gardens or the Education Dept. | For further info, please contact Ilana at 02 6480049 or the Gardens’ administrator on 02 6794012. There are no walking tours on rainy days.